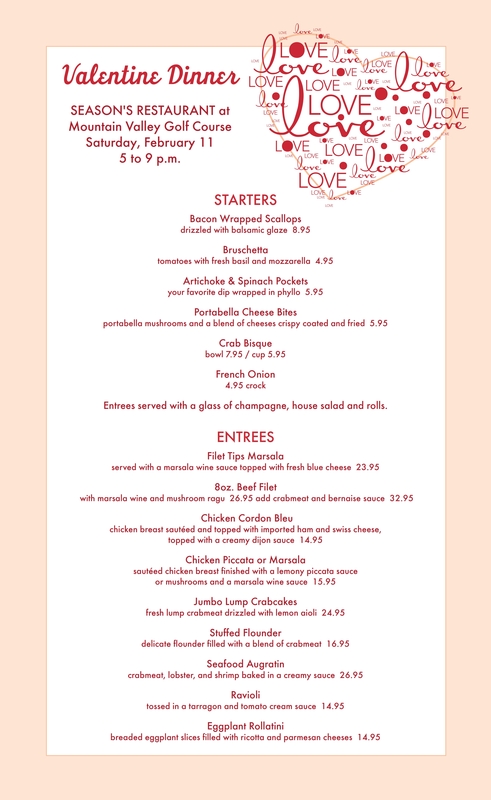 Join us for our VALENTINE DINNER on Saturday, February 11 from 5 to 9 p.m. Call (570) 467-2242 ext. 3 for dinner reservations. Stay at nearby MainStay Suites call (570) 773-5252 for special room rates.